At Midwest Thermography, we strive to offer service with integrity, quality and excellent customer service in a safe, comfortable environment. 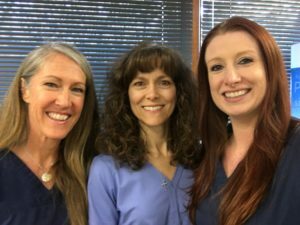 Our female technicians include a Licensed Practical Nurse and Medical Assistant, both certified thermographic technicians. Midwest Thermography has contracted Dr. Robert Kane, Certified Thermographer, who is a California based outsource provider for thermal imaging interpretation services only. Dr. Robert Kane is known as “The Voice of Thermography,” and brings over 20 years of experience to the field. He holds Diplomatic Certification with the American Board of Clinical Thermographers (ABCT) and the International Academy of Clinical Thermology (IACT.) He also holds Fellowship with the International Academy of Clinical Thermology. Dr. Kane provides private interpretation services for over 20 thermography centers in the United States, Canada and Israel. Thermal imaging is not a stand-alone screening examination and cannot diagnose or rule out the presence of injury or disease. The impressions noted on the thermal imaging reports are based upon common presentations of typical conditions but should not be interpreted as a definitive diagnosis. Evaluation by your health care provider is necessary to determine their actual cause and significance.